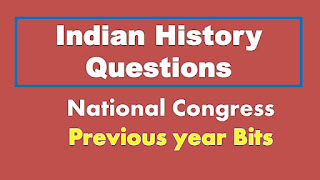 Indian History Previous Year Questions Indian National Congress: hi viewers welcome to our web portal ssc-ibps.com, in this article we are providing the most important bits asked in the topic Indian National Congress Previous year questions asked in the different examinations like as RRB ALP, Group d Exams. Indian Railway Recruitment Board is the largest vacancies filling in India. This time more than 2 cores above applicants are received by the RRB Board in All Indian Railway Zones. This time not an easy task to get the railway ALP Post without a proper preparation. Each and every mark is plays an important role in merit list. 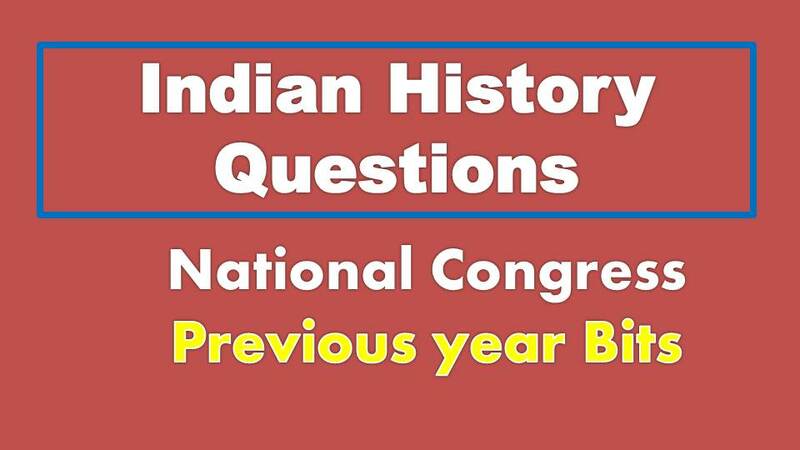 From the Topic Indian History more than 6-10 questions coming in written test. 1. Who among the following was thrice elected president of the Indian national congress? 2. Where was the first session of Indian National congress held? 3. Indian national congress was founded by? 4. Who was the founder of the Indian association? 5. The second session of Indian national congress was president over by? 6. The partition of Bengal came into effect on? 7. Who among the following was NOT known as a moderate in the national movement? 8. Which of the following papers was essentially the mouthpiece of the policies of liberals? 9. The method of moderate leaders of the congress was? 10. The most important organization of the pre-congress nationalist organizations was the?